With numerous implant designs and approaches, it is quite a task for a practicing clinician to clearly understand the innuendos of the popular tissue level, and the bone level implant approaches. Whereas the tissue level implant design was the most poular one used clinically and researches widely by the International Team for Implantolgy (ITI) group, the more recent "bone-level" implants from Straumann has grabbed well deserved attention for it's ability to maintain bone and soft tissue around the implant interface extremely predictably. Dr. Unhold, a dual degree, board-certified oral and maxillofacial surgeon with abundant experience in dental implants will outline the various aspects of the two approaches, based on available clinical evidence and his own rich clinical experience. Dr. Unhold is a Board Certified Diplomate of the American Board of Oral and Maxillofacial Surgeons. He received his D.M.D. from Southern Illinois University School of Dental Medicine while also earning his M.D. at the University of Alabama. Dr Unhold has authored peer-reviewed articles pertaining to jaw reconstruction, with and without the use of dental implants. 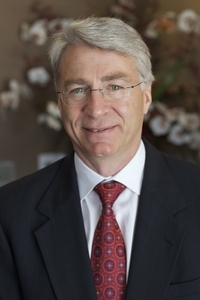 He has experience with several dental implant systems and has placed over 3000 implants. In addition to lecturing for the North San Diego County area dental community, Dr. Unhold shares a group practice providing dental implants and oral and maxillofacial surgery in Escondido since 1994. He was selected by his peers as one of San Diego's "topDentists" for 2010. This program is sponsored in part by Straumann.